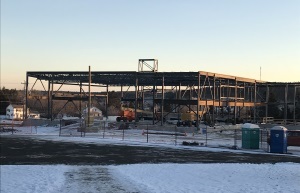 In December 2013, the Government of Nova Scotia announced a new P-12 school would be built to replace the existing schools in the Duncan MacMillan Family of Schools. To read the news release announcing the new school, click here. 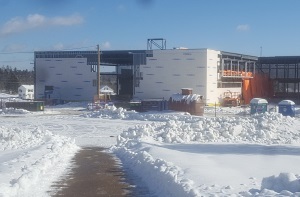 Part of the process for the building of a new school involves a site selection process. To lead the process, a Site Selection Committee (SSC) was formed and the committee identified three possible locations for construction of a new school. These locations were presented in a report to the Governing Board for approval and submission to the Department of Education and Early Childhood Development (EECD). The SSC submitted its report to the Governing Board in June 2014. To review the SSC report, click here. The recommendations were approved and forwarded to the provincial government. On April 26, 2016, Karen Casey, Minister of Education and Early Childhood Development, announced the location for the new school. Click here to read the news release. Once a site for a new school is selected, a School Steering Team is formed to serve in an advisory role during the design of the school. 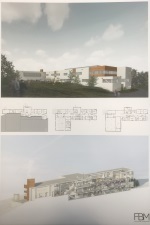 The committee provides input to the provincial government for consideration during the design process for the new school. 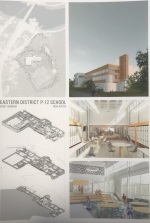 Final decisions on the design of the school rests with the provincial government, as represented by the Department of Education and Early Childhood Development, and the Department of Transportation and Infrastructure Renewal. Naming a new school facility is the responsibility of the Regional Centre for Education. In accordance with A.001 The Naming or Renaming Schools policy, the principal or principal designate will identify and lead a consultation process to name the school. The process will include a school organization such as a School Advisory Council, Parent/Teacher Association, School Steering Team and the public. Also, student input, appropriate for the age level served by the school should be a significant part of the process. To read the Naming or Renaming Schools policy, click here.